Learn about the different Triggers you can set up in Zapier. With Zapier, Triggers are what you'd set up to start, or trigger, your Zap! Demio offers a few different Trigger options that allow you to do some powerful things. This trigger sets things in motion as soon as someone Registers for one of your events. It's super simple to set up! All you need to do is choose an Event from the dropdown and Zapier pulls in those details. You'll find all of your event types, including Like Live Replays. This trigger starts once an Attendee joins your event. Like the other triggers, you'll need to choose an Event from the dropdown from which Zapier will pull in those details. This trigger sets things in motion when a webinar ends and a registrant did not attend one of your events. 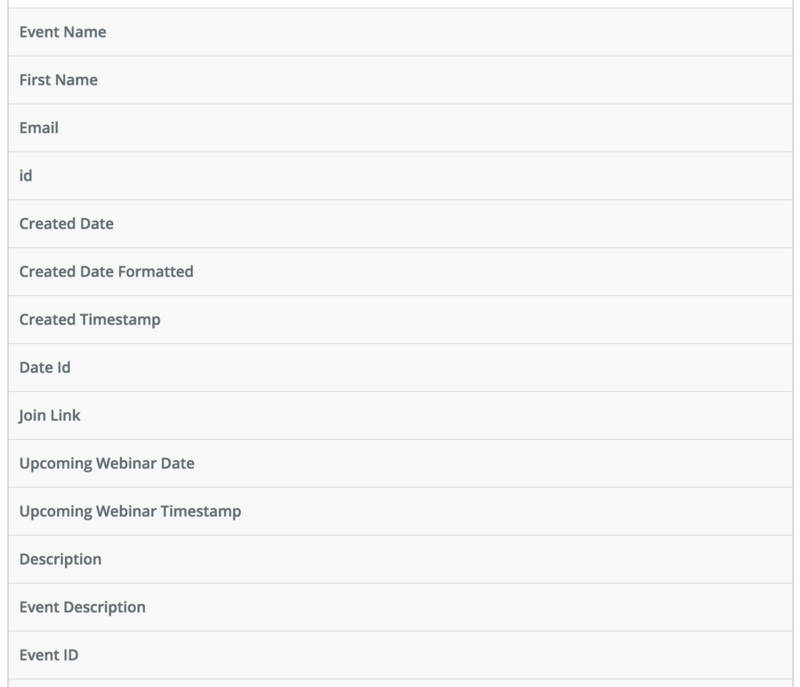 This trigger fires off as soon as a session from an Entire Series event ends, allow fields to be updated for existing registrants that are carried over. It'll allow you to update the fields for the new upcoming date/time as well as the Join Link. Here's the full list of fields that are pulled in! While most of the fields that are pulled in are self-explanatory, here are a few descriptions that can help! When Zapier pulls in your list of events, it'll include a short annotation to indicate the type of event.